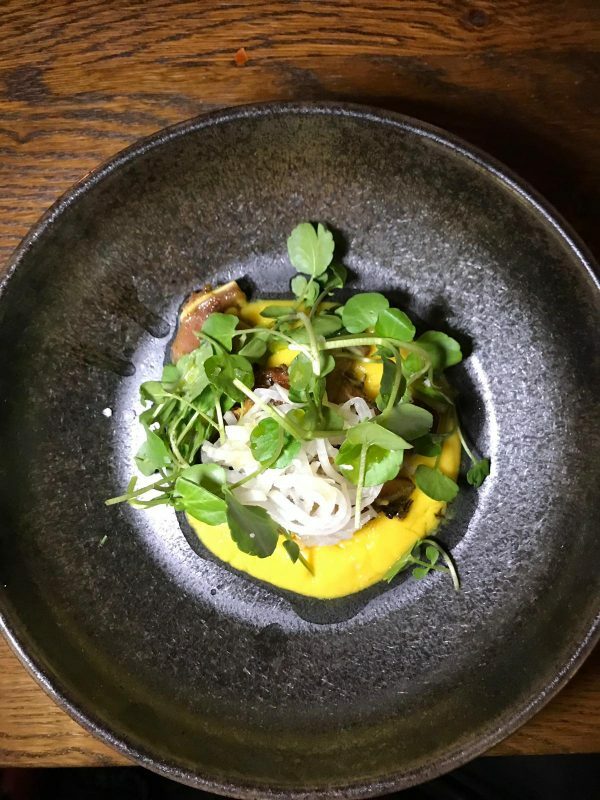 Iberica Brings a True Spanish Experience to London! 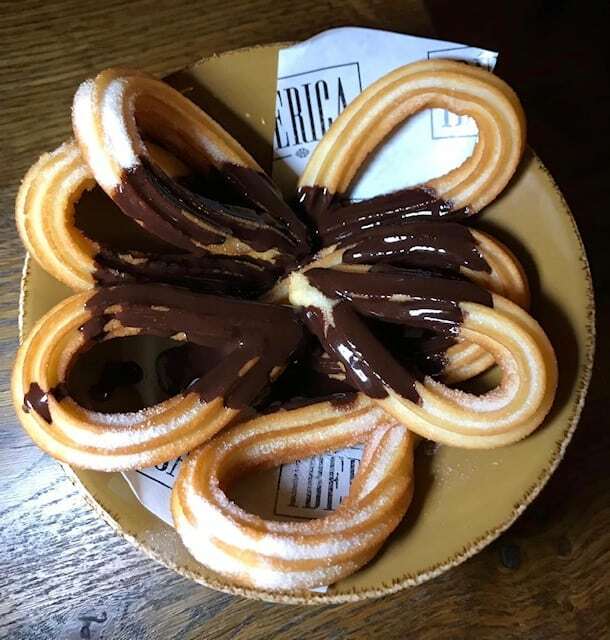 Iberica is a wonderful tapas restaurant in London delivering on Spain’s authentic flavours and laid back atmosphere. 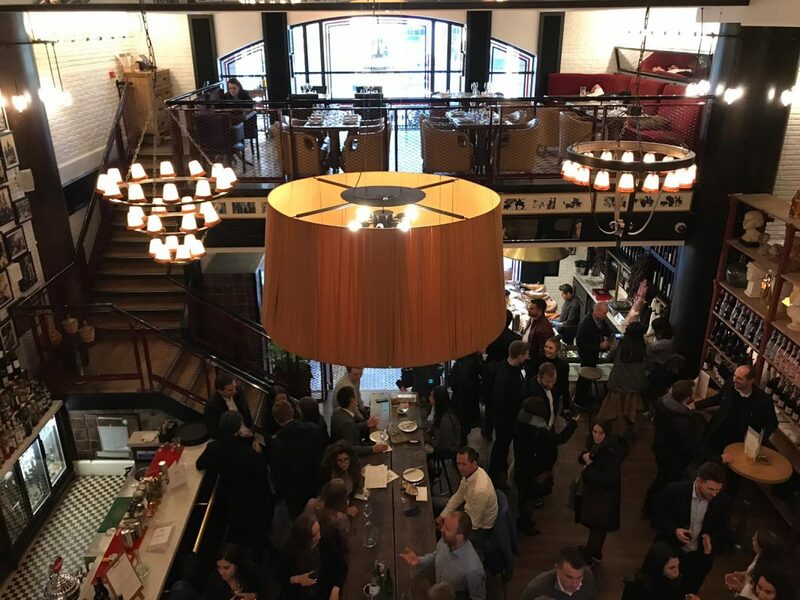 We visited to experience Iberica’s seasonal menu, based on and inspired by the culinary delights Madrid and giving them an exclusive Iberica twist! 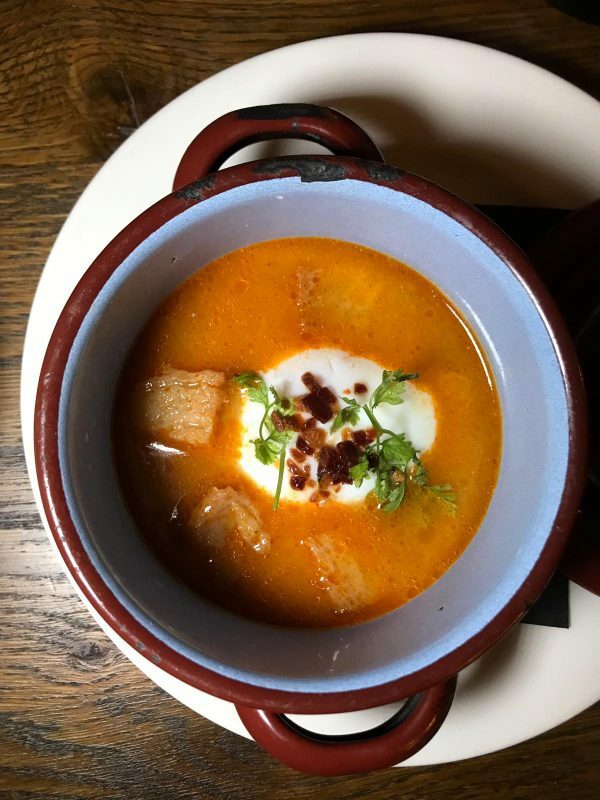 Sopa de Ajo (£8) – Typical rustic soup, made with garlic, chicken stock, bread and paprika, served with a cooked egg. 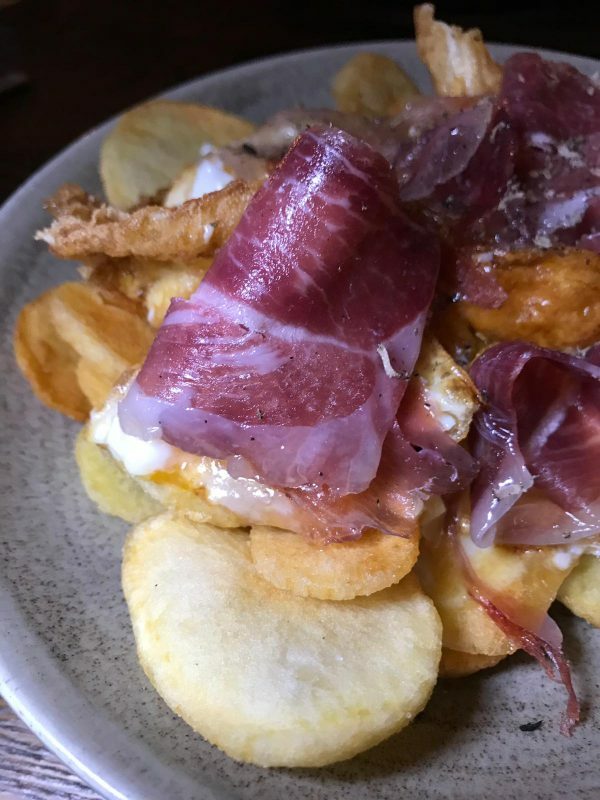 Huevos Rotos con rufa y jamon Iberico (£15) – Sliced, fried potatoes, topped with free-range broken eggs. We loved how all three dishes had something different to bring to the table. The soup really came alive with the paprika and is very different to traditional English soup. It was an exciting dish to eat, enjoying all the flavours along with the soft texture of the runny egg. The Oreja a la Plancha was incredible. The pigs ears had a real crispiness but at the same time were soft and succulent. While traditionally served with a draught beer, Iberica really made it their own by serving the ears in a fiery mojo rojo sauce. The chickpea puree really completed the dish and was very delicious. Our favourite was the Huevos Rotos, and for the price this is a pretty big sharing plate so you really get your money’s worth. The potatoes were gorgeous – we could have easily ordered another. 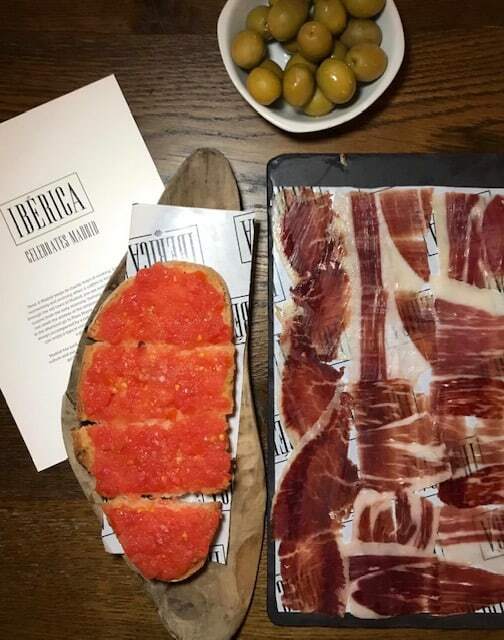 We couldn’t take a trip to Iberica without indulging in their fabulous options of jamon. Iberica’s jamon is made from 100% pure-breed black Iberian Pig, who mature slowly and roam free in the Spanish countryside. Being a lot more conscious of where meat comes from, we loved that Iberica are promoting sustainability and a better life for the animals. The jamon has three different intensities which is dependent on the producer and how long the meat is hung for (can be up to four years!). The great thing about this menu is there is an option to try all three intensities (Trio de jamones Ibericos).You receive a big wooden platter with the beautiful thin cuts (£22). There is a lot of meat and is surprisingly filling. We loved the creamy notes and enjoyed all three different strengths. It was a gorgeous starter for us and we recommend ordering a portion of the toasted bread with tomato (£3.5) to accompany it. 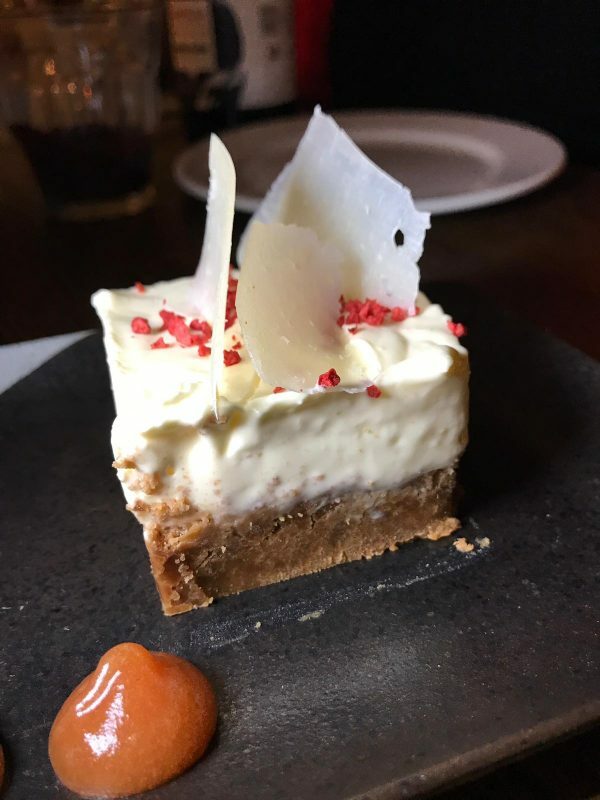 We also chose two options from the main dessert menu – the Gloria Cheesecake (£6.50) – a rich cheesecake with raspberry sorbet, quince and shaved Zuheros sheeps cheese from Andalucia and traditional Churros with Chocolate (£5) – Glorious pastries with a pot of melted chocolate. Both desserts were an absolute dream and a perfect way to end a truly scrumptious Spanish meal. The cheesecake was indulgent with a gorgeous crumbly biscuit base. We loved that this dessert was topped with actual cheese too and really gave it its own quirky twist. Iberica has four tapas restaurants in London. The quality of food is fantastic, the prices are generally reasonable and the atmosphere is lovely. A real treat if you love Spanish tapas!